This term in the JS Library Makerspace students explored the concept of ROBOTICS. 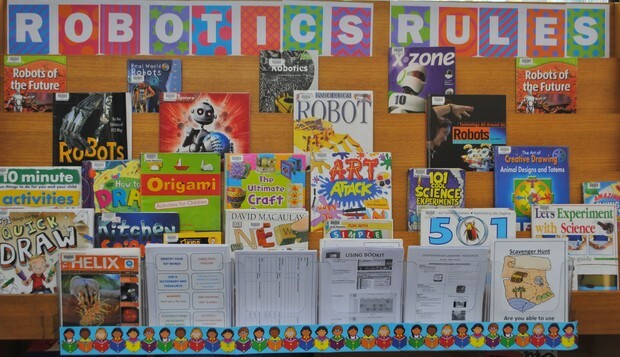 The JS Library has a range of literature both fiction and non-fiction to help students explore the purpose and function of robots in our world. Students were able to make connections to literature through the books on the display. Some robots books created using Sketch Up (among other tools) were also made available (see the weblink for a free download at Nieko). 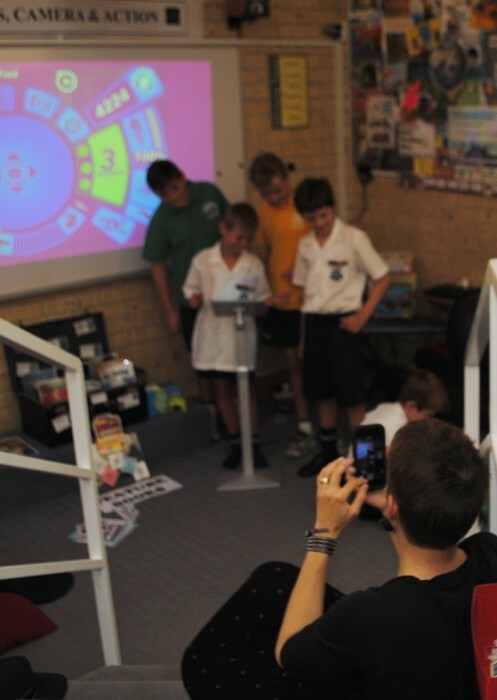 The Cubelets and the Spheros were purchased using funding from the Parents and Friends. We are looking forward to exploring more deeply with these next year. 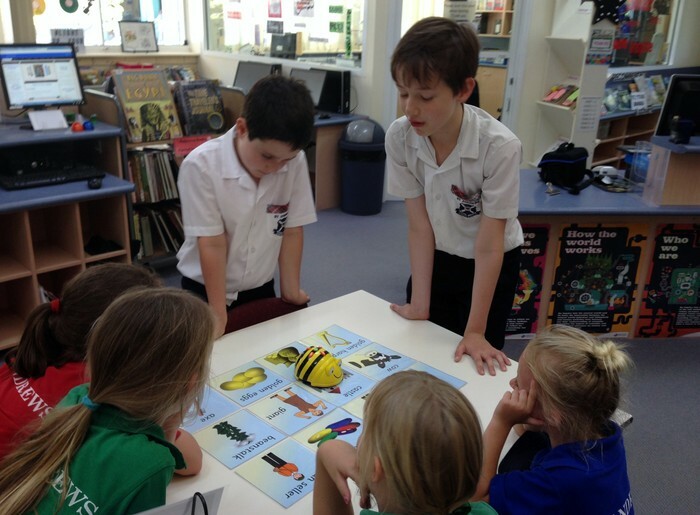 See more about the activities the students explored at the JS Library blog post BEE BOTs . 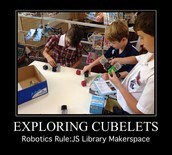 See more about the Cubelets Challenge at the JS Library blog post CUBELETS. 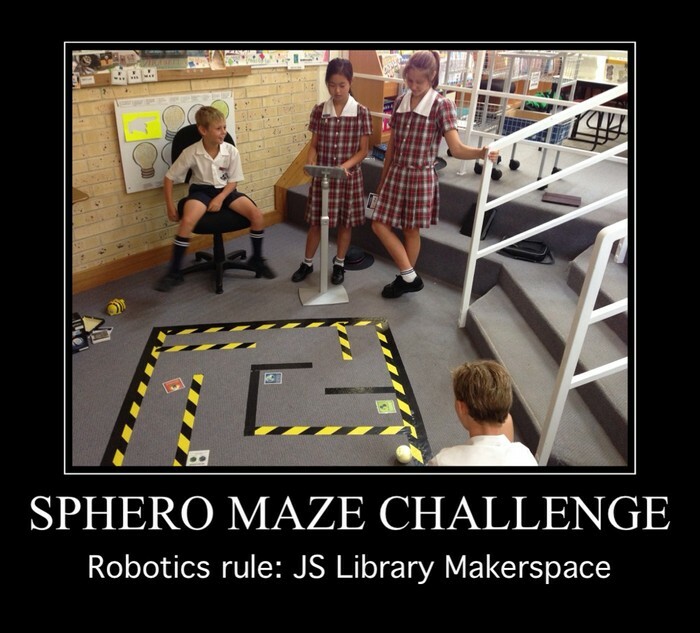 See more about the Sphero Maze Challenge at the JS Library blog post SPHERO. 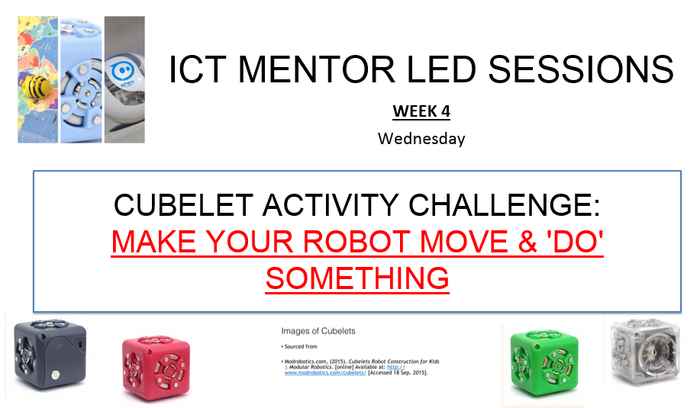 The ICT Mentors (and friends) have learnt how to use the cubelets and the sphero in an introductory session in order to teach other students. Cubelets are modular robots that are magnetic. To create a robot you need a think, sense and act cube. 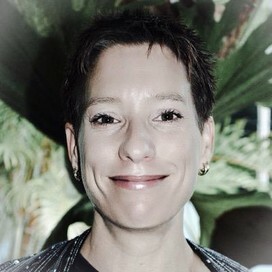 View more at this YouTube link introducing the Cubelets. 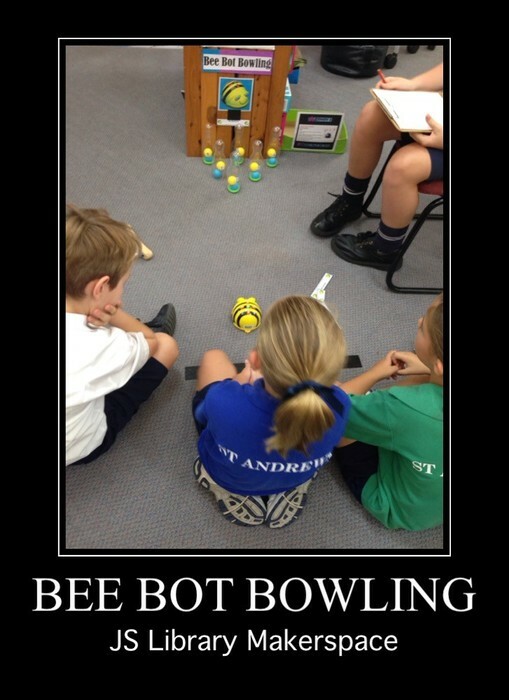 The Sphero is a programmable robot. 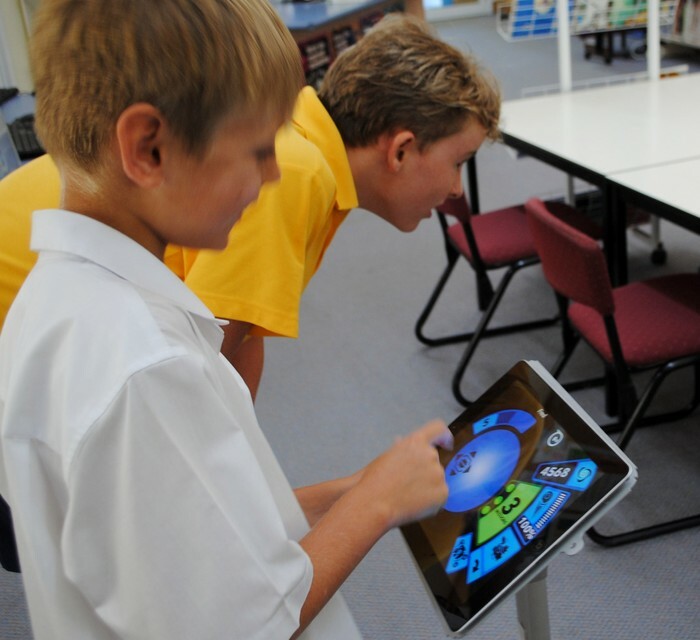 For the introductory session the students used the Sphero app. 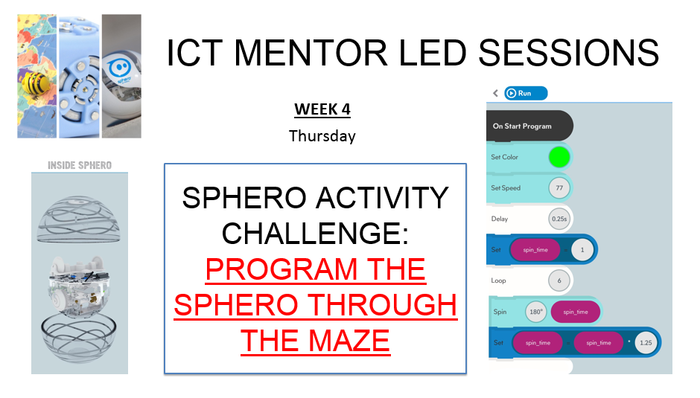 Later on we will explore programming with the Sphero SPRK app. 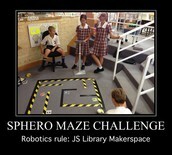 The final challenge for the week is to design a maze for another group of students to use. This is an example of our sample maze being completed. using the World Map to explore countries and facts using the Barefoot World Atlas app. 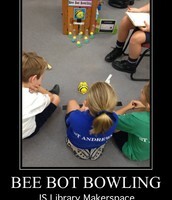 Students exploring the Learner Profile with the Bee Bot and finally took on the challenge of Bee Bot Bowling. 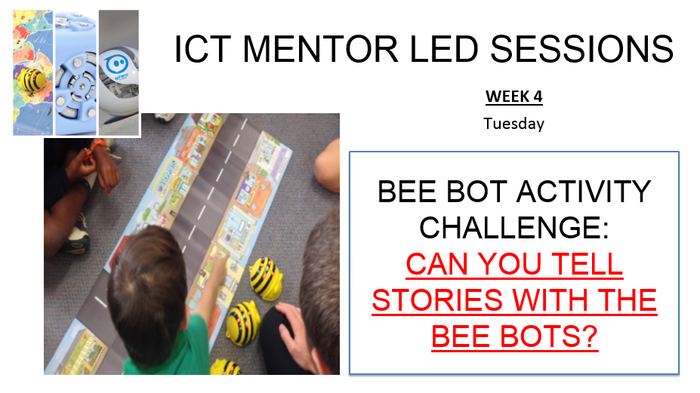 Literature with the Bee Bots connects to the Year 1 UOI. 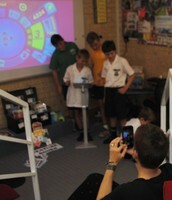 This week students have the chance to explore the world of robotics.